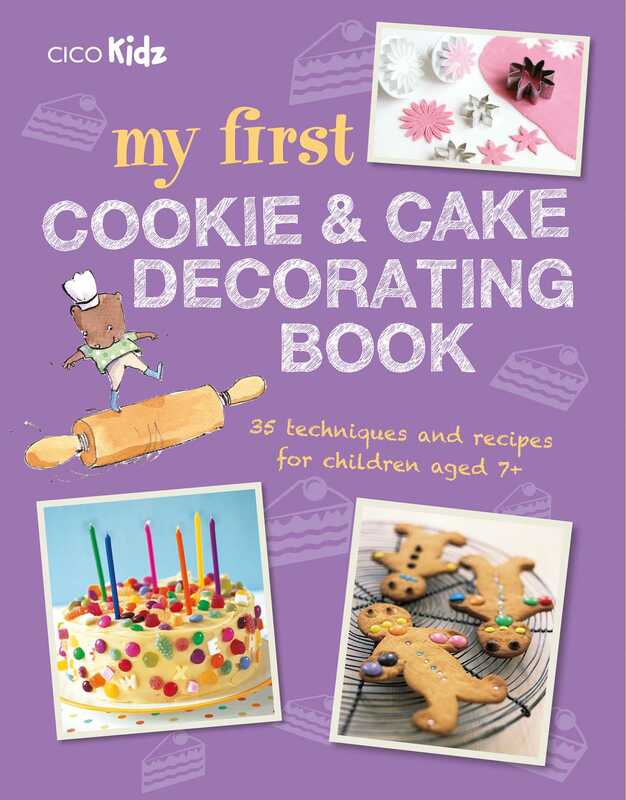 In My First Cookie & Cake Decorating Book you will discover that half the fun of baking is in the decorating! With 35 easy-to-follow step-by-step projects, you will soon be impressing family and friends with delicious decorated cookies and cakes. In Chapter 1, The Basics, there’s a range of cookie and cake recipes that will form the basis of your creations, such as a vanilla sponge and gingerbread cookies. In Chapter 2, Decorating Techniques, you will learn skills such as making and using a piping bag, creating and using templates, cutting shapes, making decorations, and getting creative with a range of colorful and fun toppings. In Chapter 3, Creative Cookies, the projects include Iced Christmas Trees, Snowflakes, Easter Bunnies, Sunflowers, and Gingerbread People. Once you’ve gained confidence and skills by decorating cookies, move on to Chapter 4, Creative Cakes. The recipes include a Snakes & Ladders Cake, Wise Owl, Teddy Bear, Blossom Cake and a Yule Log complete with Christmas decorations. The decorating part of the projects is designed for you to do without help, but you might need a grown-up to help you clean up the mess afterward!